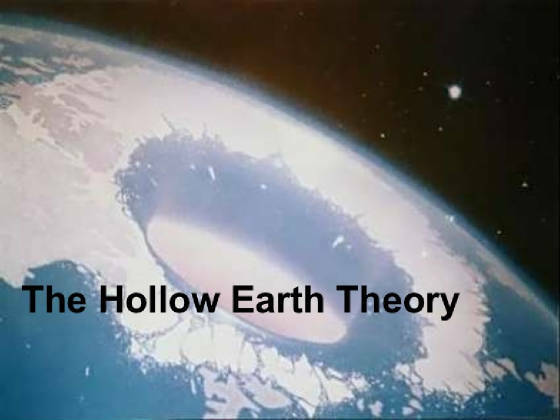 When I say "Hollow Earth Theory" some folks will laugh, but Sir Edmond Halley, a brilliant scientist, and the man for whom Halley's comet is named, strongly held to this view, as have other major scientists. Bible verses? 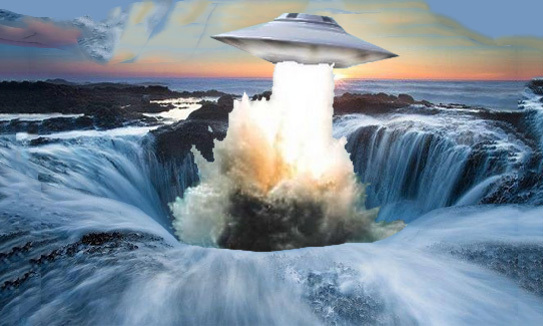 - Yes a number of Bible verses seem to suggest the hollow Earth view may be correct. Here are some verses from the King James Bible, which, many would agree is a very very literal bible. And, as I have argued, in many articles at this web site, is still the best, most reliable English Bible. Exodus 20:4 - Thou shalt not make unto thee any graven image, or any likeness of any thing that is in heaven above, or that is in the earth beneath, or that is in the water under the earth. So, just what is this "under the Earth" thing? I will list more interesting Bible verses shortly, but first, about Jan Lamprecht (a man). I certainly believe him, that being a software engineer requires the utmost in logic skills. This is very apparent as he identifies many shaky assumptions that mainstream science holds. 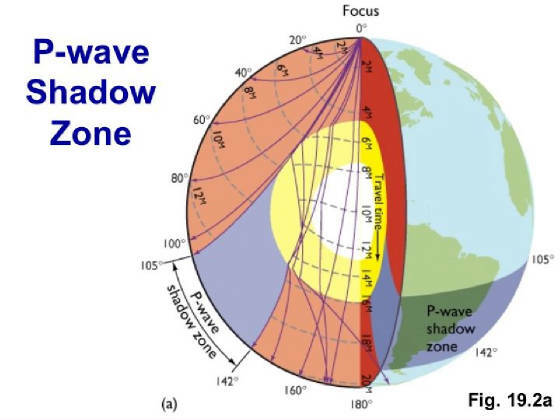 And further as he carefully applies seismology in conjuction with other factors to understand the inner earth. 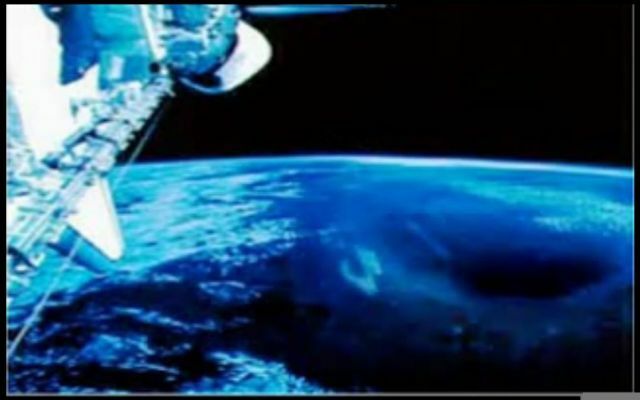 His video: Hollow Earth Theory Inner Earth Science Evidence Hollow Plants Proof. I like his 1:59 hour video, but, don't worry, the last hour seems to be Q&A and could be skipped. It is well organized, and contains much important background information. 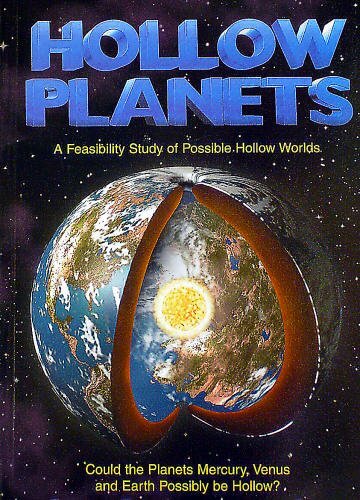 A web search on the Hollow Earth or Hollow Planets topic will produce much wild, speculative, matter. So, as always, one must shrewdly sort the good, from the bad and ugly. And keep in mind that the Bible must be carefully considered. The Lord's Prayer (Matthew chapter 6): Note: The King James Bible translators maintain the parallel "in earth as it is in heaven." 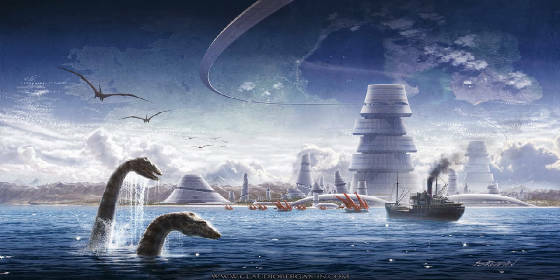 Obama's Secret Antarctica Trip A Planned WW3 Escape? Video 14minutes. NOTE: A search of the King James Bible, and perhaps other bibles, using "down to the pit," or "down" and "pit" will produce many results. That is -- wicked persons, in their death, "go down to the pit." That is -- the Bible makes plain, that the the holding place for them is DOWN into the PIT. So, it is somewhere in the Earth. The Apostle's Creed says Christ DESCENDED into hell. I believe Jesus Christ went to hell to proclaim salvation and liberty to the righteous dead, who, were, in hold, pending Jesus' actual accomplishment of atonement, which required his innocent death, and his resurrection. This had to be actually accomplished, first, in real history, before the righteous dead, captives, could be liberated. These were also, down in the earth, but, in a different area and separate from the wicked dead -- probably what Jesus referred to as "Paradise." I believe this is the meaning of the following verse, which Jesus read in the synagogue, applying it to himself. I did have a Lutheran pastor say he puzzled that the Apostle's creed states "he rose AGAIN from the dead." I have puzzled myself, many years over this puzzlement the pastor expressed. I have also prayed that God would show me. He has given me the answer, praise God. Christ must have, and I believe the Bible does show this, that Christ rose, initially, on the third day. This was critical and essential to prove that his sacrifice was accepted by the God the FATHER, on his behalf, and on OUR BEHALF. THEN, he descended into Hell to proclaim liberty to the righteous dead, captives, as I outlined above. THEN, he rose AGAIN, the same day, and ascended into heaven to sit at the right hand of God the Father Almighty. I emphasise, as I have many times before, that God is revealed in what he made, what he has done, and what he has said. Just like jury duty, we MUST put them ALL together to reach the truth. We must INTEGRATE them to reach a complete understanding. 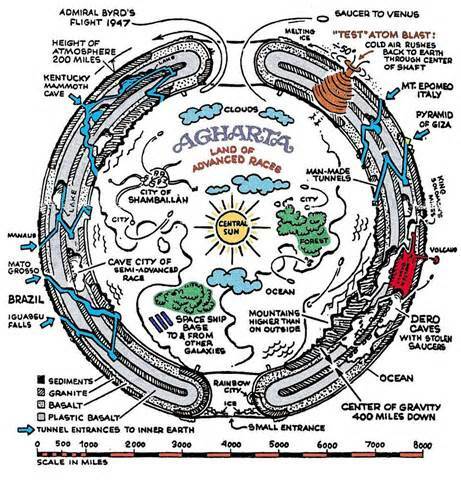 So, this Hollow Earth thing is NOT a mere curiosity or novelty, it is necessary to understand it properly, so we can integrate it with the Bible, so we can understand the Bible properly, too.